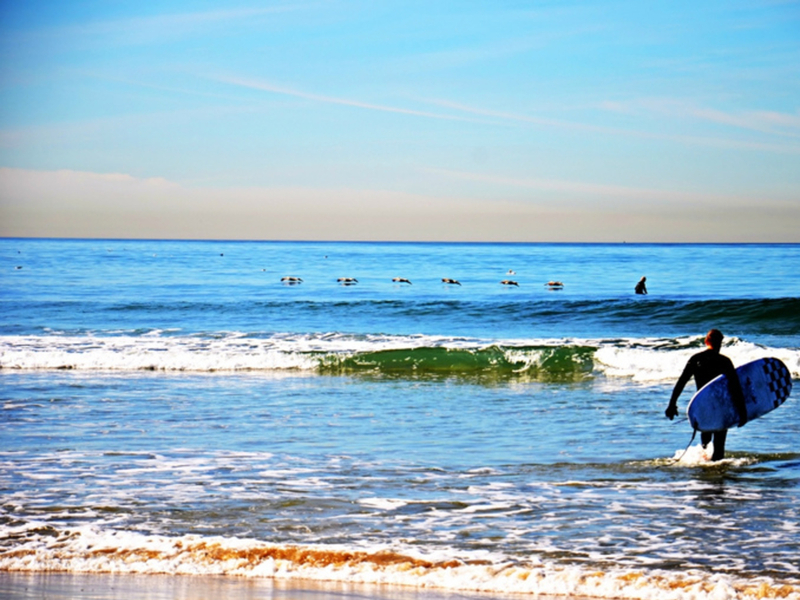 Ocean Beach is a great spot for surfers of all skill levels. Great spot to introduce kids and novices to the sport. Ocean Beach, or "OB", is funky! It was one of the last hold outs on the coast for affordable beach living. Drum circles, beads and crystals, and trustafarians are in vogue. OB is San Diego’s equivalent of Venice Beach, and every group of people are represented here on the sand. OB has a scene that is truly unique, and whatever you are into can be found here. OB is also a stop on the hobo trail so dont be surprised by the amount of homeless youth hanging around. These guys know all the tricks so if you are short on cash, and loaded with time, OB is the land of opportunity. OB is great because of the scene and the proximity to quality surf. Literally, the most famous hostel in OB is a stones throw to the ocean. The surf in OB can get really good and there are two zones. One zone is down near Newport Avenue close to the pier. This zone is all beach breaks and pop-up peaks that work best with a mid tide. This section is popular with beginning surfers because it is easy to park, and the wave is pretty mellow. The second zone is near the OB jetty also known as "Avalanche Jetty." The second zone actually produces reliable quality surf. The jetty is known for a right hander that peels along the rocks and can produce great waves. It is tide-dependent, and the best conditions I've surfed out there was during a NW ground swell with a low tide. 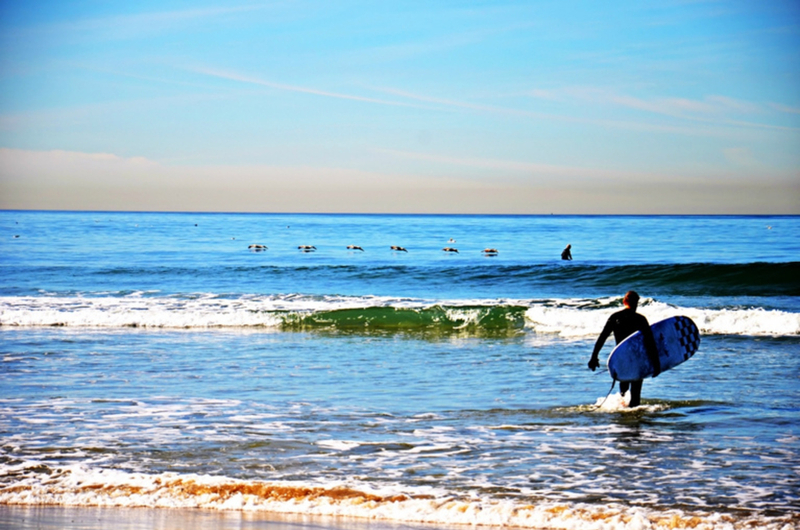 Fall/ Winter produce quality surf conditions, and Spring/Summer bring out the beachgoers. There is also a short boardwalk that is popular with the homeless crowd, so if you don't have any money just roll out your yoga mat and catch a few z’s. Finally, and my lips are sealed, but head south from OB to get some of the best surf in California. Drifters, free thinkers, surfers, felons, grandmothers, and hippies will all love OB. There are lots of things to do here, and even if you don't surf, you will feel right at home. OB will impress even the most free-spirited of people. Stay in the hostel, use all the free services offered, get the Grateful Dead greatest hits, and you are good to go. Hobos and drifters live by their own code but for the rest of us, try not to drink on the beach. The booze ban is still in effect down here so don't be obvious when you inevitably do something unlawful. Also a word to the wise: don't leave anything on the beach, as a lot of these “free-thinkers” have sticky fingers. Do not surf OB after it rains, the San Diego river empties here and the water will be orange following a storm. OB is located at the western terminus of the 8 Freeway and Newport avenue is the main drag.